I am so excited to announce that Brockley Nordic Walking has been chosen as one of the partners of London Sport This Girl Can campaign which is a national initiative developed by Sport England & a wide range of partnership organisations.This Girl Can is a “celebration of active women up and down the country who are doing their thing no matter how well they do it, how they look or even how red their face gets”. There has been a national prime-time TV advertising campaign which has featured real women enjoying physical activity ​in a way that suits them and which makes them feel good, billboards across our cities with brilliant slogans like ‘Hot and not bothered’, ‘Sweating like a pig, feeling like a fox’ and ‘I jiggle, therefore I am’, and the campaign has created a huge buzz in social media. However, the fear of judgement is still a huge barrier which prevents many girls and women from taking part in exercise – This Girl Can campaign is about removing that barrier and encouraging more and more girls and women to participate in sport and physical activity. When I first heard about this campaign at the start of the year I just knew that Nordic Walking here in Lewisham was the perfect example of how the barrier of fear of judgement has been removed for many real women (and real men as well)! 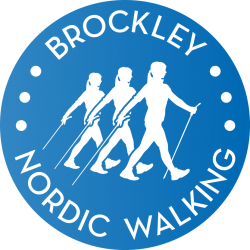 I thought that the growing Nordic Walking community here is Lewisham deserved a shout out, I wanted to show a wider audience how the girls, women and men of Lewisham have embraced physical activity and exercise in a way that suits them – in all their jiggling, giggling, chatting, sweating and red faced glory without fearing judgement. 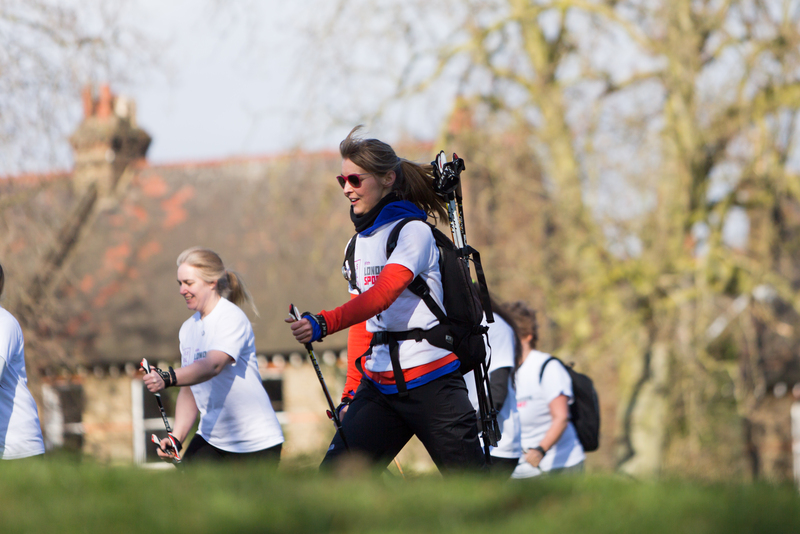 I wanted to tell our story and share our enthusiasm in order to encourage and inspire even more girls and women of Lewisham and London to get physically active Nordic Walking. When I submitted my application to London Sport, I never for one moment thought that mine would actually be picked from what must have been hundreds of other fantastic sporting organisations. Therefore to have been chosen as one of nine partner organisations for the London Sport This Girl Can campaign is such an honour, and I am excited to be working alongside wonderful organisations such as Active Newham, Street Games, British Mountaineering Council, London Borough of Tower Hamlets Sports Development, A Mile in Her Shoes, We Move Dance Project in Haringey, Laces Community Club in Hackney and Full Figured Fitness in Hammersmith & Fulham in spreading the This Girl Can message. The funding received from London Sport This Girl Can will go towards new Nordic Walking poles and pedometers which we will use to set ourselves and our group some weekly and monthly challenges, working towards our own fitness goals, but also towards a common goal of completing a long walking challenge later this year – perhaps a charity race or a long night time walk. On Sunday 8th March, International Women’s Day, and the day of the launch of London Sport This Girl Can campaign, a camera crew and staff from London Sport joined me and22 of my regular ladies and two very brave men on Hilly Fields for a brisk Nordic Walk in the beautiful spring sunshine. 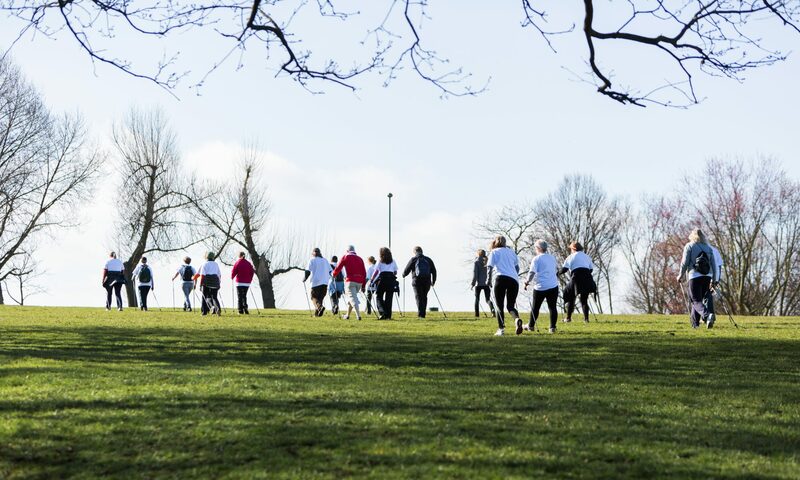 We were excited to be interviewed on camera, pose for photographs and show off our Nordic Walking skills, all in the name of inspiring other girls and women to get physically active! And finally after a few weeks of waiting, here we have it; the London Sport This Girl Can video in all it’s wonderful wiggling & jiggling glory! What an honour to be featured in this video alongside the other amazing partner organisations; Hackney Laces football club, Full Figured Fitness and We Move dance programme at Haringey Sixth Form. With this video we hope to help break the fear of judgement barrier which many women and girls still state as their primary reason for not exercising regularly. We hope to inspire even more women & girls to take up sport and physical activity, so please share the video with as many people as possible!